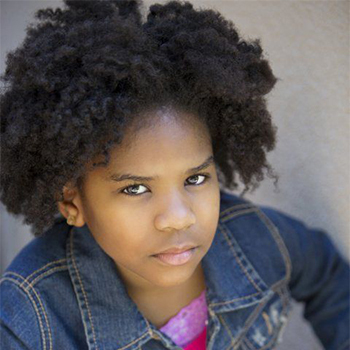 Trinitee is a very talented and unique child actress who is famous for portraying the role of Judy on Disney Channel original series K.C. Undercover. She is also a singer, an author, and a fashion designer in such an age. Born in Jackson, Mississippi, Stokes began her acting career in theater at the age of three. She has since appeared in numerous commercials for top national brands, including AT&T and McDonald’s. She recently graduated from B.O.S.S. where she was the youngest student to graduate. Trinitee hosts several book drives a year, and delivers the donated books to children's homes and shelters in the LA area. She enjoys reading, writing songs, traveling, shopping, swimming and studying the Bible. She also volunteers at the Ronald McDonald House. She is lives in Los Angeles with her parents. Former footballer who used to play under the National Football League as a defensive lineman . Currently he is working as radio host in ESPN 's Mike and Mike. Julia Benson is an actress. A combination of talent and beauty, Julia Benson is famous for playing the role of Vanessa James in the series Stargate Universe. Beautiful and talented lady, Ceren Alkac is an actress by profession. She is famous for her role in a short and drama movie After the Denim.